Withernsea Café Opportunity. Total Accommodation 127.5 sq m (1,375 sq ft). Located in the heart of a popular tourist resort. 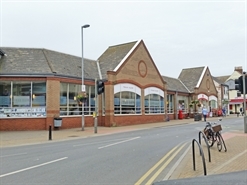 Situated beside national multiples including Aldi, Poundstretcher and Post Office. Guide Rent £13,000 p.a.